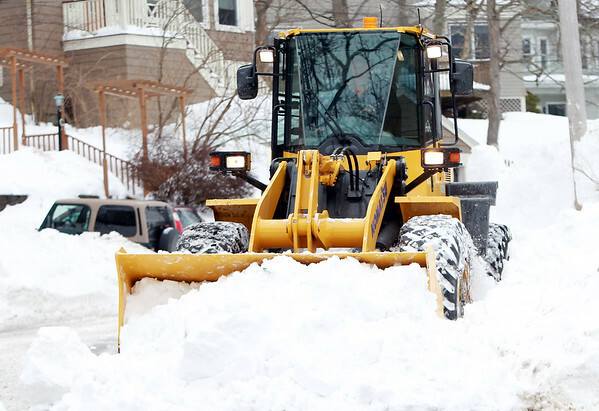 Steve Spillane, of Greenwood Ave in Swampscott, uses his own front loader to remove snow from his street and sidewalks along the street. DAVID LE/Staff photo. 2/7/15.